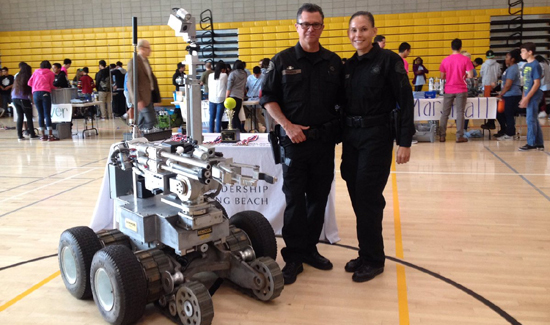 In Wisconsin, the Ozaukee County Sheriff’s Office has a broken bomb detection robot. When these things glitch out they can be a real chore to fix- especially if you don’t have an engineering degree. 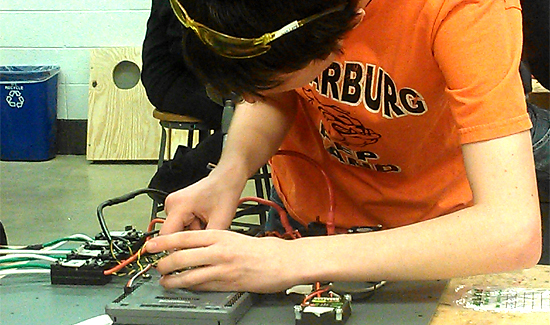 But the local Cedarburg High School has a Robotics Team. The “Hexhounds,” are on the case and hopefully they can get the robot up an running again. It could be a major challenge because the bomb robot (yet another military hand-me-down) was broken before the cops even opened the box it was shipped in. But these kids sound really smart and they might just pull it off. “We kind of start by figuring out how it communicates, how the mechanics of it work, how to troubleshoot through that,” said Patrick Knox, Junior.